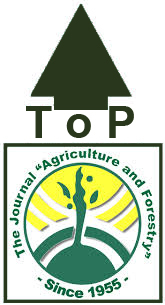 The Editors and the Editorial board wish to acknowledge with sincere appreciation the assistance of the reviewers who have generously contributed their time and efforts in the appraisal of manuscripts submitted to the Journal Agriculture and Forestry. These reviewers have not only been of inestimable help in assessing the merit of original articles but also, by their careful analysis and critique and their general and specific constructive recommendations, have often greatly enhanced the value of these manuscripts. 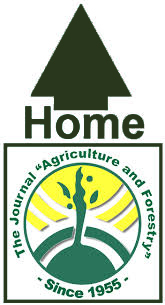 The quality of the journal can be attributed in large measure to the quality of their effort. The list concluded on 31 December 2014. Dr. Koliasnikova N.L., Head of Botany and physiology Departament of Perm agricultural academy, Russia. Zorica VASILJEVIĆ, University of Belgrade - Faculty of Agriculture (SRB). 67 days, 19 hours, 10 minutes.